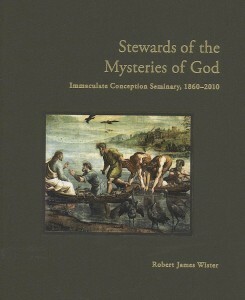 Please join us on Wednesday, April 13th 2011 at 3:00 p.m. in the Dean’s Suite of Walsh Library to celebrate the publication of the sesquicentennial history of the Immaculate Conception Seminary entitled: Stewards of the Mysteries of God: Immaculate Conception Seminary, 1860 – 2010. 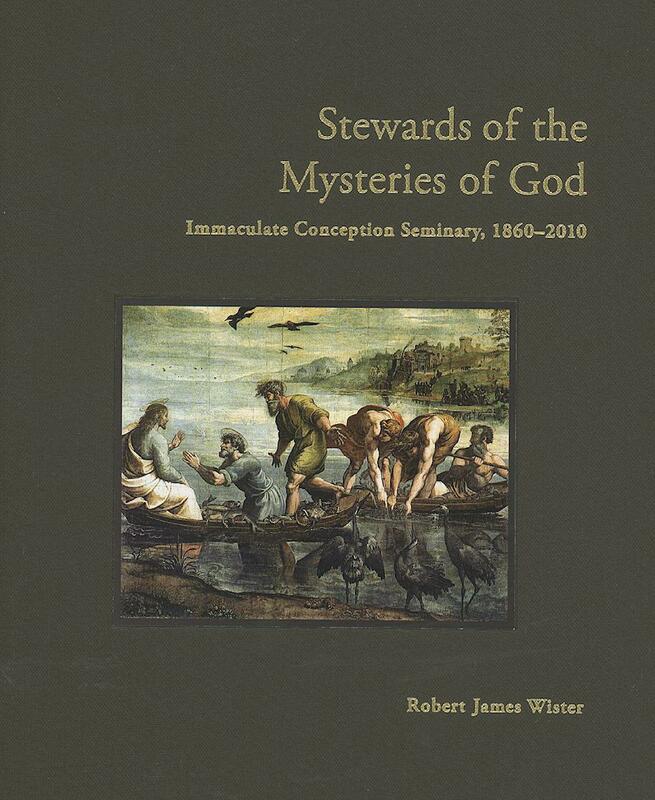 Author Monsignor Robert James Wister has provided a detailed and well-written historical treatment of the events, individuals and spirituality that has marked the growth and marvel that is the Immaculate Conception Seminary. Monsignor Wister will deliver a slide presentation with images and excerpts from this volume and books will be available for purchase and to be signed personally by the author. This event is Free of Charge and Open to the Public. Light refreshments will be served. For 154 years, Seton Hall University has been a catalyst for leadership, developing the whole student, mind, heart and spirit. Seton Hall combines the resources of a large university with the personal attention of a small liberal arts college. Its attractive suburban campus is only 14 miles by train, bus or car to New York City, with the wealth of employment, internship, cultural and entertainment opportunities the city offers. Seton Hall is a Catholic university that embraces students of all races and religions, challenging each other to better the world through integrity, compassion, and a commitment to serving others. For more information, visit the University’s website. 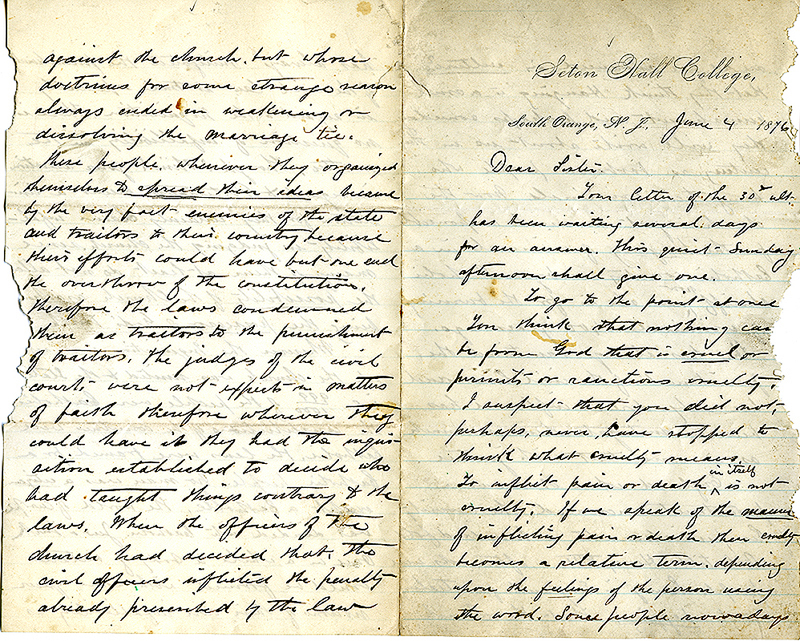 The Seton Hall University Libraries is proud to announce the acquisition of the Father William Salt Letters. 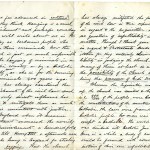 This large collection of approximately 500 original letters (along with a small amount of ephemera) from the estate of Father William Salt (1837-1890), Catholic priest and renowned figure at Seton Hall University will be housed in the Archives & Special Collections Center and made available to researchers upon request. The letters date from 1808-1901, with the majority from 1840-1880. Approximately 140 of the letters were written by Father Salt with the balance written by members of his family. 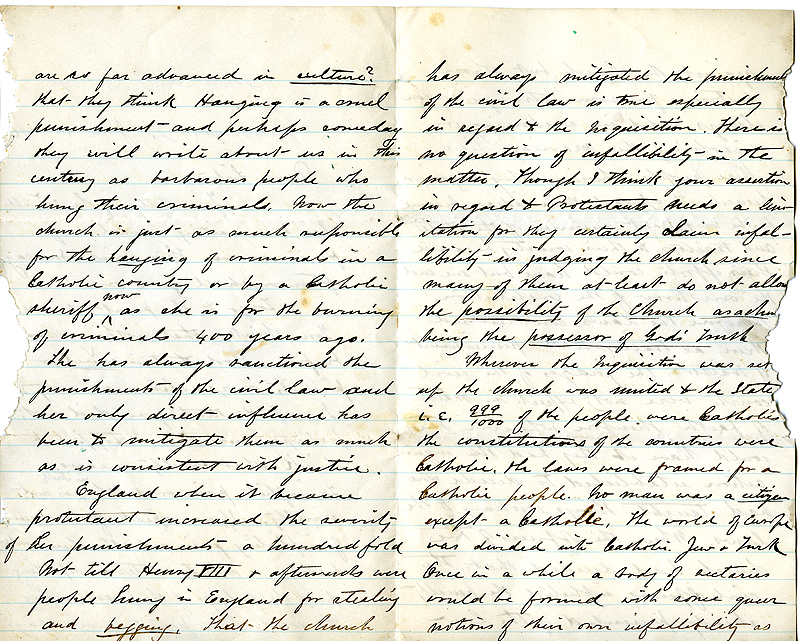 These letters were consolidated into a single collection by Mr. Jim Martin, a history expert and resident of Bath, New York, which coincidentally is where Father Salt was raised during the mid-nineteenth century. William Salt was born in Brooklyn, New York, the eldest of nine children. His parents were Baptists, but Father Salt joined the Protestant Episcopal Church in 1859, when he also decided to enter the ministry. He later taught at a parish school in Van Buren, Arkansas, and letters from the 1860-61 period provide details of the many events during this important period in American history. One of these letters is an illuminating narrative of the Confederate occupation of Ft. Smith during the early days of the Civil War. These Arkansas-era letters show that the Reverend Salt’s sympathies rested with the Confederate cause. 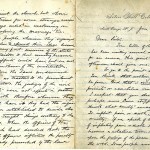 Additional Civil War-era letters exist from his family members, including one from his sister Elinor discussing the Emancipation Proclamation. On the advice of his Bishop he entered the Theological Seminary at Camden, South Carolina, in 1861 from which he was drafted into the Confederate army, and served for nearly three years. He eventually made the journey home to Bath on foot, where he was ordained a deacon and assigned to a local church in Sodus Point, New York. Later letters include Father Salt’s time in Sodus Point, a letter to his father announcing his conversion to Catholicism, descriptions of his studies in Rome, Italy, and a great many letters from Seton Hall University, with early stationery and envelopes dating from shortly after the school was founded in 1856. Father Salt studied philosophy at Seton Hall, and was sent to study at American College in Rome, until his health failed and he was obliged to return to New Jersey before completing his theological studies. 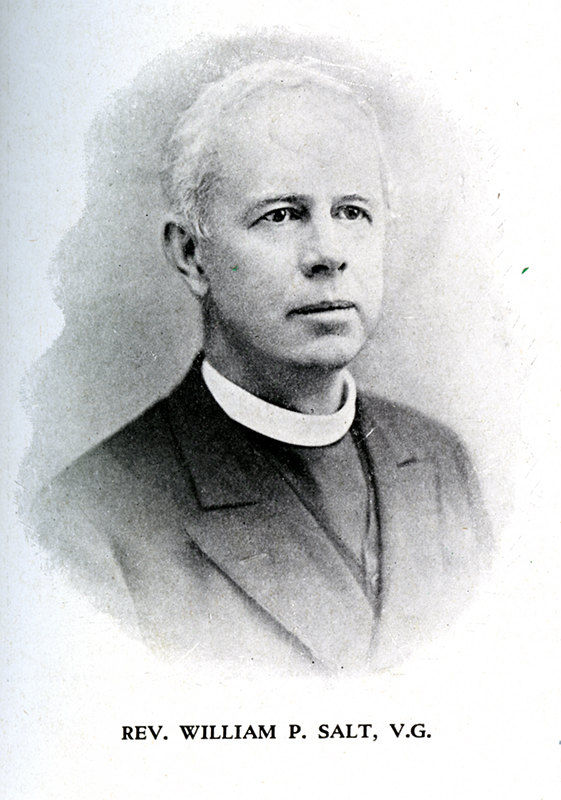 He returned to Seton Hall, continued his course of studies and was ordained a priest on June 3, 1871. 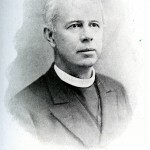 Soon after ordination he was appointed Professor of Logic at the school and held various positions at the school throughout his career until he retired in 1889. He passed away on Oct. 7, 1890, and was buried from Seton Hall Chapel. Father Salt’s remains were laid to rest, as he had requested, in the Cemetery of the Holy Sepulchre in East Orange. Overall this collection provides a rare and detailed perspective on the life of an important Seton Hall pioneer.